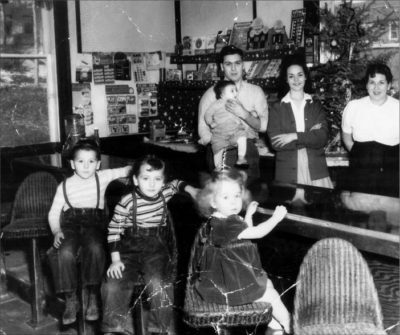 Pictured are Otto and Eunice Savall of The Place, a Norwalk bar, in 1963. 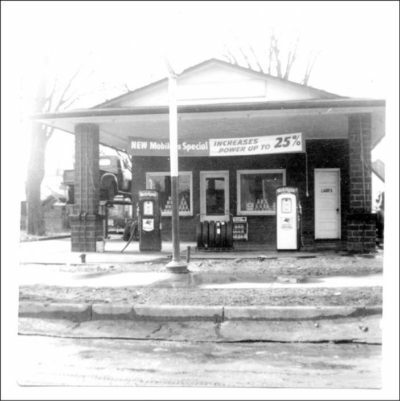 Can you name that business and location? 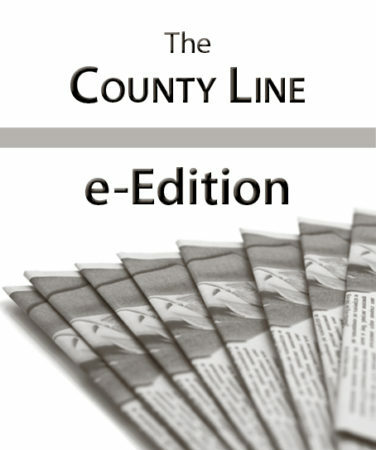 In June 1919, an ad appeared on the front page of the Norwalk Star. 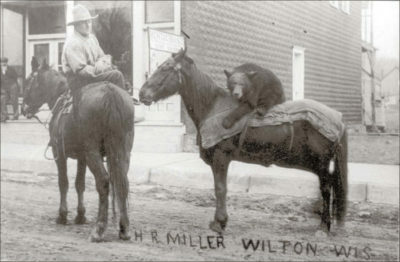 It announced the opening of a circus in Wilton, owned and operated by one of the county’s most well-known residents, Herman Miller. 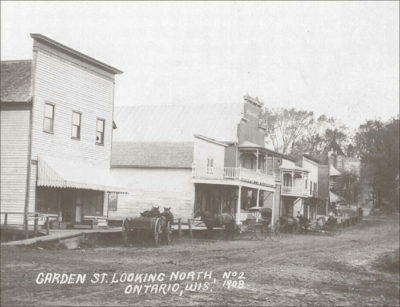 This postcard depicts the intersection of Main and Railroad streets in Norwalk in the early 20th century. 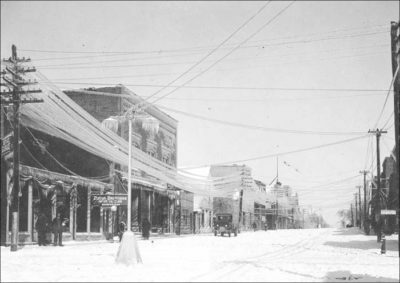 This 1916 street scene shows the intersection of Walker and Main streets in Wilton, facing northwest. 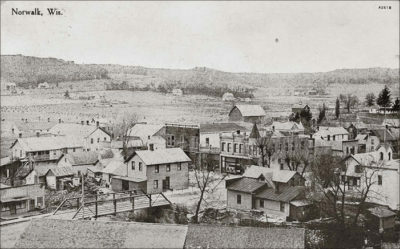 A 1909 postcard depicts Norwalk’s Main Street, facing south from the intersection with Highway 71. Can you help us identify this photo? 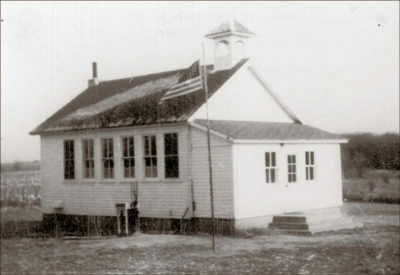 According to Monroe County Local History Room records, this photo depicts either Sunny Slope School, which was in Section 1 of the town of Wellington, or Finn/Sunnyside School, which was in Section 35 of the town of Glendale. Razed in the 1970s, the Hotel White once was a busy place on Division Street in Ontario. 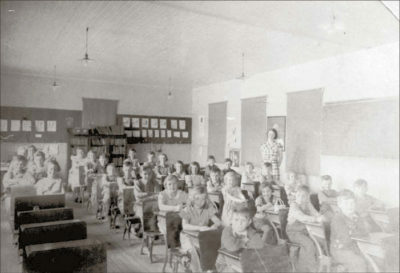 This circa 1938 photo, copies of which are available at the Monroe County Local History Room in Sparta, depicts students at Spring Valley School, which was on County Highway F and later merged with the Norwalk School District. 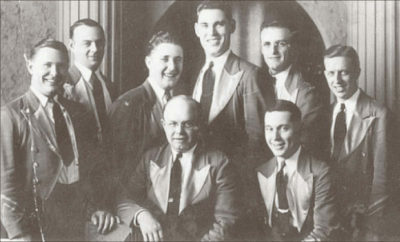 Moeller’s Accordian Band played at the Ontario Community Hall celebration in 1938.